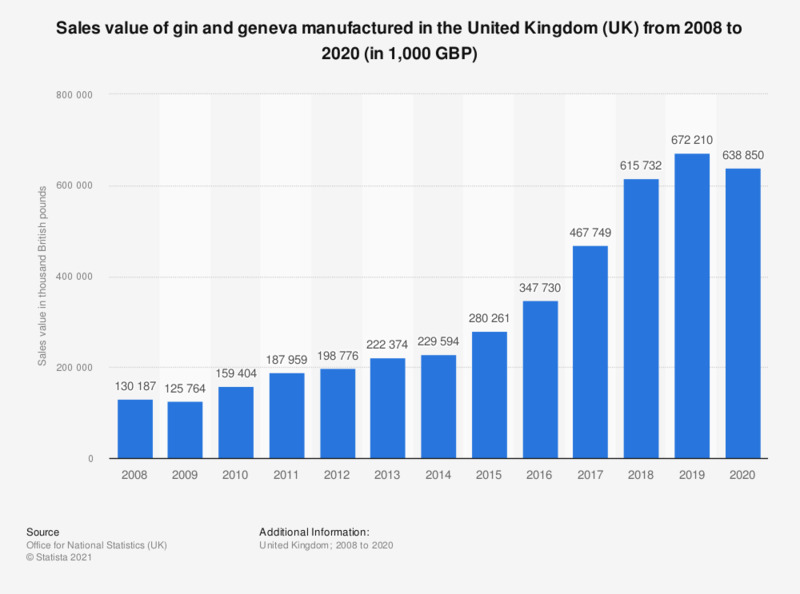 This statistic shows the total sales value for gin and geneva manufactured in the United Kingdom (UK) from 2008 to 2017. In 2017 the sales value of gin and geneva increased to approximately 461 million British pounds. * Intermediate estimate (final estimate yet to be released). Based on PRODCOM (PRODucts of the European COMmunity) survey of production. Please position yourself in regards to the following statements: "I only buy gin brands that I trust" - "When it comes to gin, brands do not matter to me"